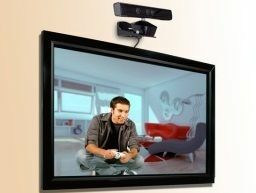 Microsoft is set to quadruple the accuracy of its Kinect motion control tech, according to latest reports. An anonymous source tells Eurogamer that Microsoft wants to improve the accuracy of Kinect, in order for the controller to detect hand rotation and finger movement. Microsoft's Kinect team is developing compression tech that will allow more data to be transmitted from Kinect to the Xbox 360, allowing for a quadrupling of the controller's accuracy, according to the source. Microsoft can upgrade the Kinect firmware via online downloads. The controller's depth sensor is currently set to a 30 frames per second limit and a 320x240 resolution limit, though this can be increased. At a 640x480 resolution, Kinect should be able to detect finger movement and hand rotation, for example. Kinect's USB controller interface is capable of around 35MB/s, but currently only uses around 15 to 16MB/s. Microsoft is still to comment on the latest revelations about the potential increase in Kinect's ability to identify finger movement and hand rotation. TechRadar has contacted Microsoft UK for further comment.